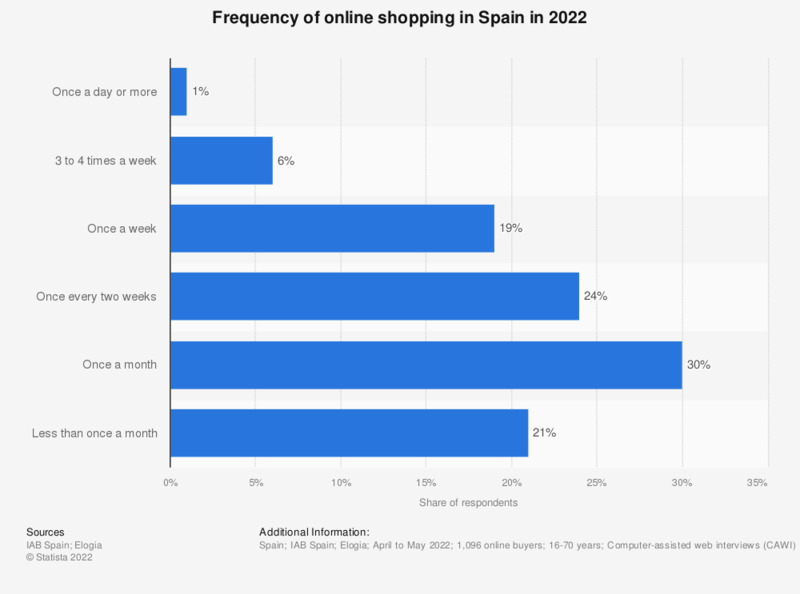 This statistic shows the monthly shopping frequency of Spanish Internet users in 2017. According to a study conducted in May of that year, 38 percent of respondents purchased online products more than 10 times a month. The original question was:"¿Cuántas veces has comprado en internet en los últimos 12 meses? ".